Oxford Dictionaries... Every year they publish their word of the year. This year they done messed up. This year the word is not a word. This year the word is an emoji. You may have thought that the emoji depicted above was because we are happy about this year's word. There is where you would have been very sadly mistaken, because that is this year's word. 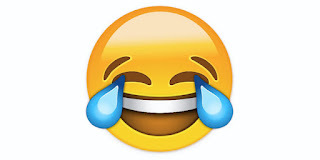 Yes, this years word is the 'Face with tears of joy' emoji. Or, maybe they didn't mess up. Maybe they are going to get even more coverage for their word of the year this year. Oxford... you're either evil geniuses, or words mean nothing to you.